London, United Kingdom: In a statement issued today, the Executive Board announced that the Republic of Ecuador had gained the permanent membership of the International Youth Federation. In Ecuador, youth aged 18-29 represents 27.7% of the population of the country. 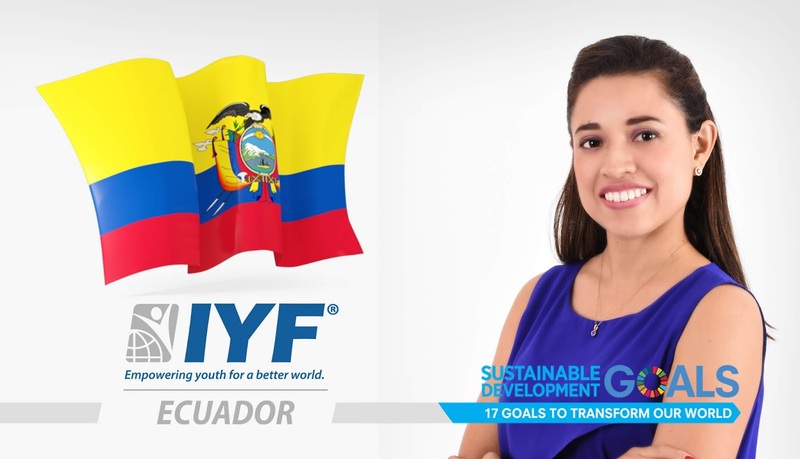 Our vision at the IYF is to enable the young people in Ecuador to get their voices heard and giving talented and motivated young people the opportunity to acquire the skills and knowledge to actively contribute to the development of their societies. Ms. Cristina is a young leader, activist and attorney specialized in Family and Children and Adolescents´ Law. She wrote her thesis on the topic of “Inter-country adoption in Latin American through the analysis of the Convention on the Right of the Child and The Hague Adoption Convention.” She has collaborated as professor assistant and full-time teacher of law at different universities in Ecuador. Moreover, she has worked with national and international organizations in the advancement of children rights. Her main topic of interest and research is child protection, more specifically the prevention of sexual abuse of children. Ms. Cristina holds a Master’s degree in Laws on Advanced Studies in International Children’s Rights (L.L.M.) from Leiden University.